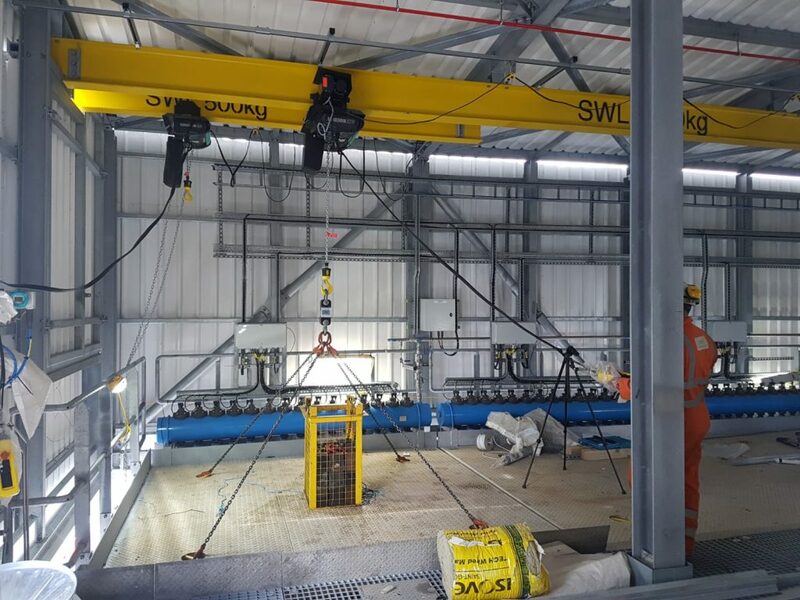 Rope and Sling Specialists (RSS) will test 24 jibs and runway beams, in addition to related hoists, during three site visits at the Wheelabrator Parc Adfer facility in Flintshire, North Wales this month (April), ahead of commencement of waste-to-energy operations later in the year. A major challenge separated the project from other similar testing works. Eventually, post-recycled waste will be treated to create energy and recyclables, providing clean, sustainable energy for more than 30,000 local homes. Operations and associated activities will rely on a variety of overhead lifting equipment, including the aforementioned beams, the final six of which were still being installed at the time of going to press. RSS received a scope of work to proof load test the beams from Lyon, France-based Lab SA, which constructed the building where the majority of them are installed. The remaining three beams are on a nearby stack and residue silo respectively. 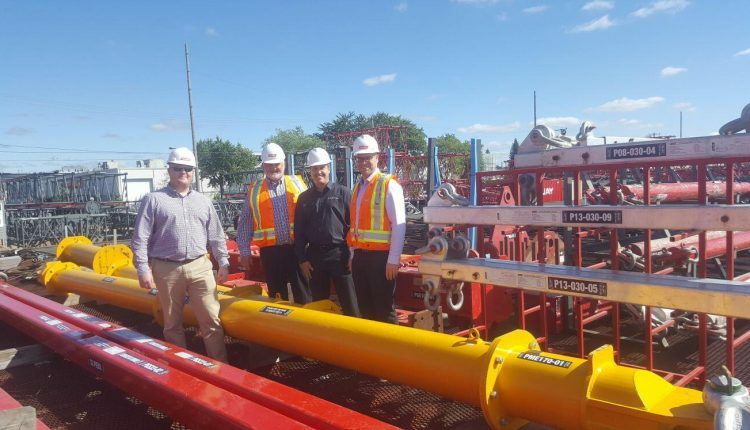 RSS, a lifting and rigging equipment specialists, will complete the works over two three-day visits, the first of which has been completed, and an additional two-day visit. 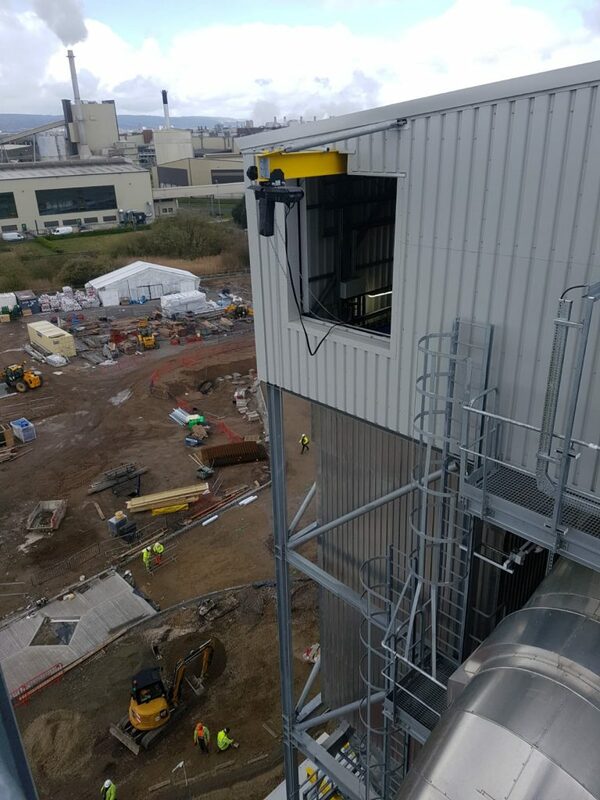 The main stack beam was 26m high, the same height as the cantilevered beam that protruded from the top of the filter bag house; the residue silo stood 3m taller. Other heights of lift varied between 3m and 10m. RSS delivered all required test weights for the initial visit but will hire a larger beam to complete testing on two of the beams, likely to be completed on 16 April.